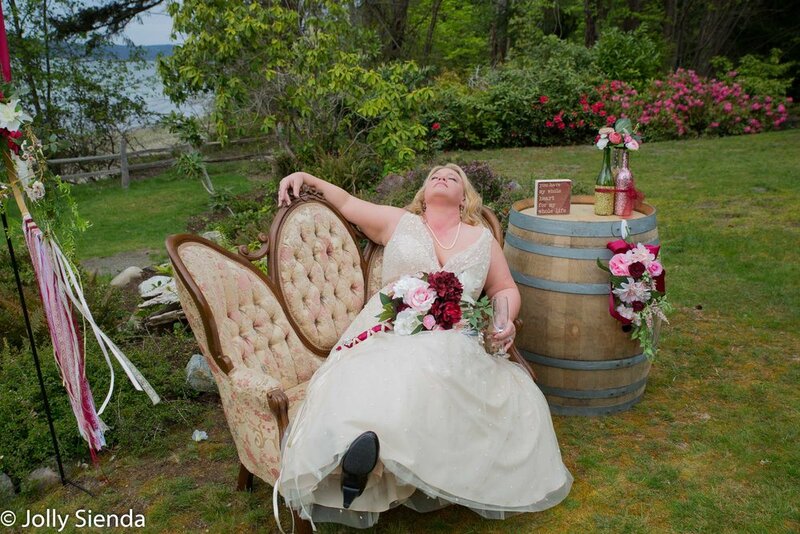 Props can add style and fun to any photoshoot! Adding props for your photo session can help you tell your story. 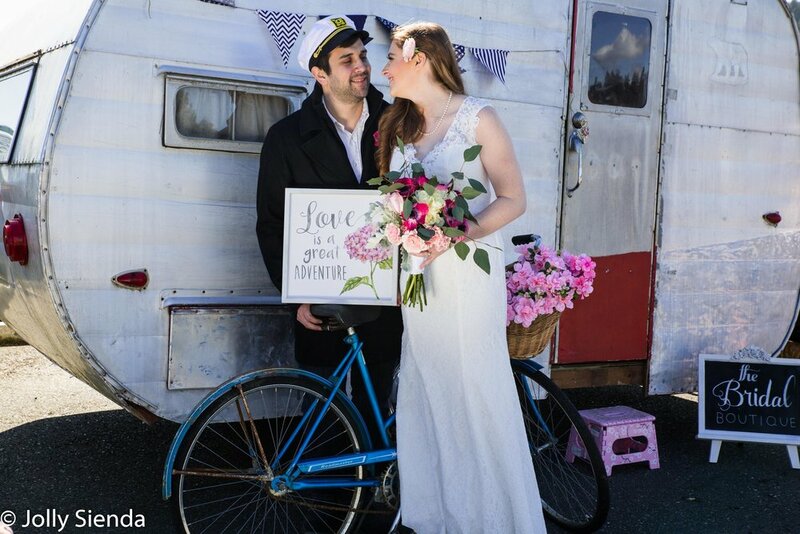 Samantha and Jake love the vintage look and they see their love story as an adventure! For April and Brian's wedding they asked me to re-create photos they had seen on a Pinterest board. 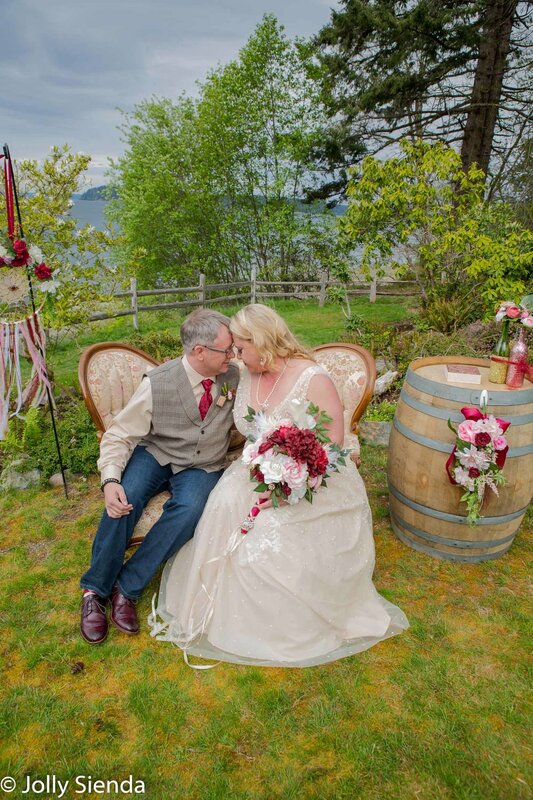 Using the Victorian sofa she had rented for her wedding, outside, helped set the tone for a super romantic, vintage wedding day!